Brazil is to spend up to 7 billion dollars (around 12 billion reals) for its Brazilian Air Force (FAB – Forca Aerea Brasileira) next procurement – fighter aircraft. There is no way to predict whether it will be Rafales, Gripens, or Super Hornets. Nobody knows much about what the tender outcome will be. We just know that India would advise Brazil in this competition. We will have to take another six months until Brazil makes a decision on this bid ie on December 31, 2012, or even later. On the one hand, the French Dassault Rafale is deemed ahead thanks to its performance, the Swiss NAC tests, and thanks to a transfer of technology pledge. Moreover, the Rafale (carrier-capable) has won the Indian MMRCA tender among strong contenders – F/A-18E/F Super Hornet, MiG-35 Fulcrum F, Eurofighter/Typhoon, F-16IN Super Viper, JAS 39 NG Gripen. On the other hand, the U.S. Boeing F/A-18E/F Super Hornet would be cheaper but the transfer of technology still depends on another aircraft sale. Remember about fighter aircraft performance… 3 years ago! Could RAFALE benefit from F-35 glitches? The British Harriers were to be replaced by the F-35Cs. Do you remember? You may have learnt from the recent news that the carrier variant of the Lockheed Martin Aeronautics Joint Strike Fighter – CV JSF (Carrier Vessel variant’s Joint Strike Fighter) – F-35C was unable to catch the wire onboard the aircraft carrier during the latest landing tests. The arresting hook (tailhook) never engaged the arresting wire as the clearance between the tail hook and the main landing gear’s tyre tread is too short for such a speed. An F-35C Lightning II missing her carrier landing has been reported even though some U.S. officials would have dismissed such information which might result from simulated tests. Added to that is a software bug which had grounded the CV JSF for 6 days a few month earlier for the fifth-generation fighter aircraft might have encountered wing-folding input while flying! As a result, the British Ministry of Defence might find a Plan-B solution as these design flaws, and some others which date back to November 2011 are deemed unacceptable for such an expensive fighter aircraft – $139.5 million for the F-35C (CATOBAR – Catapult Assisted Take Off But Arrested Recovery), and $150 million for the F-35B (STOVL – Short Take-Off and Vertical Landing). The latter can land on carriers but she is more expensive, and the JSF program costs have already increased several times. The British MoD is therefore considering the purchase of either F/A-18E Super Hornets or RAFALEs for the RAF. 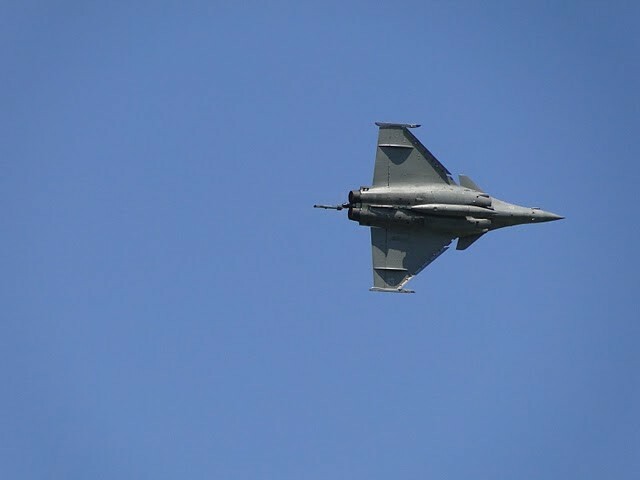 The French Dassault which has already lost the Swiss NAC tender due to replace the Swiss Air Force’s F-5s, would be proposing a new offer with 18 RAFALEs at a cost deemed lower than the 22 SAAB Gripens’ one according to the Swiss press. Pointing lasers at aircraft can cost pilots their lives. The FAA has decided to increase the penalty. This prank is to cost the offenders a hefty fine – up to $11,000. Some pen-shaped laser pointers have been reported around a thousand times in the USA in 2011, and 2,836 incidents were reported last year. It may seem a harmless prank. However, when a laser pen user aims at an aircraft, it turns into a dangerous hazard as the laser light is reflected everywhere. When the beams re reflected into the pilots’ eyes, the can get blind, and cause a crash.